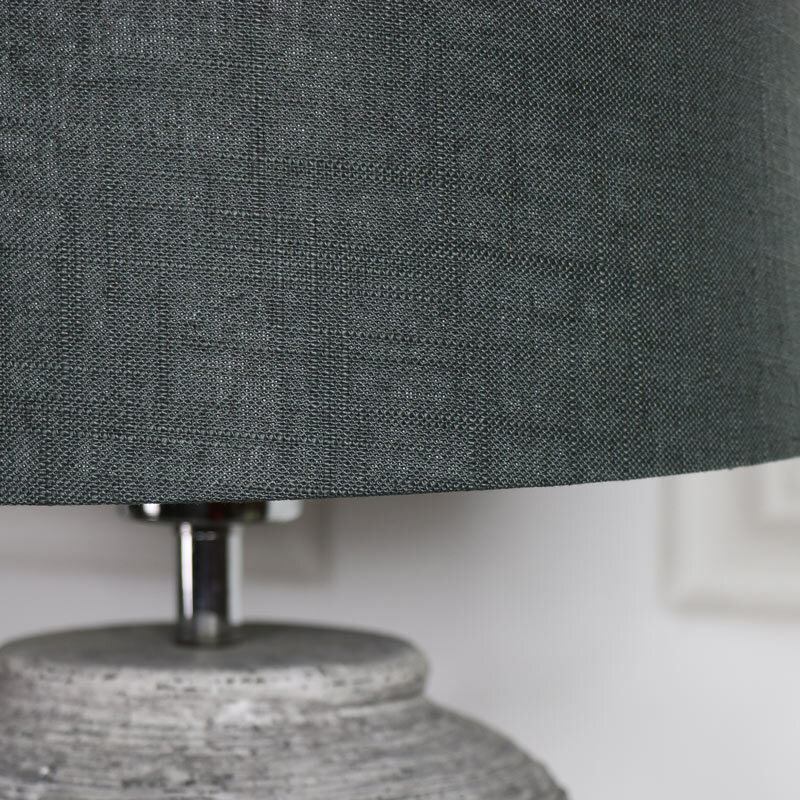 Add some rustic charm to your room with this table lamp. Gorgeously rustic, this will add a vintage feel whilst adding a soft glow. Perfect for adding a little light to your living room, bedroom or hallway. With a distressed base and a dark grey cotton shade. This would be ideal for adding that rustic country feel to your living room, sat on a lamp or side table. Add some rustic charm to your room with this table lamp. Gorgeously rustic, this will add a vintage feel whilst adding a soft glow. Perfect for adding a little light to your living room, bedroom or hallway. With a distressed base and a dark grey cotton shade. 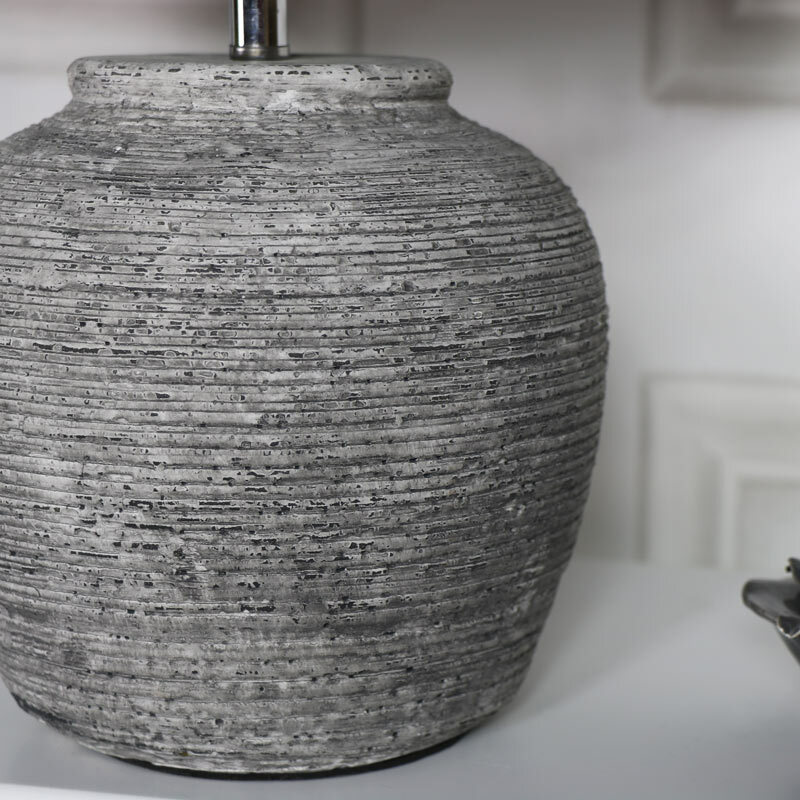 This would be ideal for adding that rustic country feel to your living room, sat on a lamp or side table. 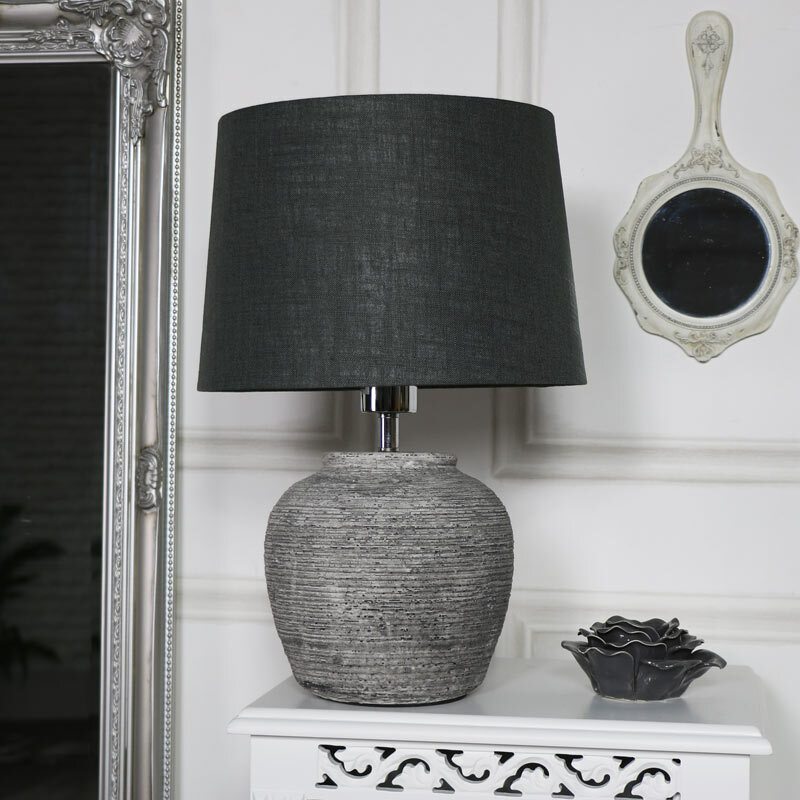 The lamp base is made from stone in in a distressed finish with a dark grey cotton shade. The lamp base itself measures 30cm high and 18cm diameter with the shade measuring 21cm high and 30cm diameter. A handy inline swith for ease of use and takes 220-240V E27, max 40 watt bulb. Perfect for sitting on a lamp table or bedside to add some cosy lighting.